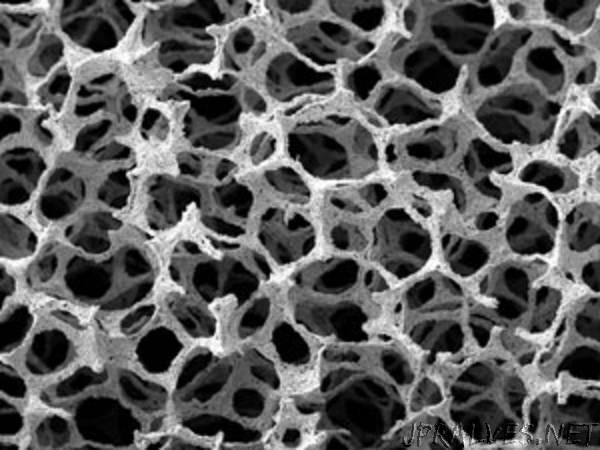 “Tailor-made metallic foams could soak up sound in high pressure, high temperature environments such as jet engines. Now, teaming up with Xiang Yu and Fangsen Cui from A*STAR’s Institute of High Performance Computing, the researchers have developed a predictive model for optimizing the metallic foam’s pore structure for a given task. First, they produced a range of metallic foam structures by growing them on polymer templates with a range of porosities and pore cell sizes. The researchers then tested the acoustic properties of these metallic foams, to measure how foams with different pore structures soaked up sound. This data formed the bases of the predictive model.